The U.S. Forest Service says “We don’t know what we don’t know” about managing a new government-owned air tanker program. This aircraft, #1721, will be the first of the HC-130Hs to arrive at McClellan Airport and is expected to be available for firefighting in July using a MAFFS slip-in retardant system. 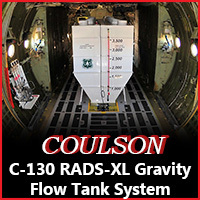 The MAFFS will eventually be replaced with a conventional gravity-based retardant tank. Photo by Alan Stern. The U.S. Forest Service is struggling to figure out how to manage a new, very complex, government-owned large air tanker program. On December 27, 2013, President Obama signed the 2014 National Defense Authorization Act which directed the Coast Guard to transfer seven HC-130H aircraft to the U.S. Forest Service. The legislation also directed the Air Force spend up to $130 million to perform needed maintenance on the aircraft and to convert them into air tankers. On June 1, 2015 the FS distributed a “Briefing Paper” that revealed the agency is not prepared to manage a long term safety oversight program for this government owned/contractor (GO/CO) operated venture. On that date, 522 days after Congress began the process of transferring the aircraft, the the FS had no detailed operating plan and had not hired or appointed any long-term, full-time safety personnel. The document also stated that “the military model for a squadron of seven HC-130H aircraft is to have TWO [sic] full time safety officers assigned”. With the first HC-130H scheduled to arrive at McClellan Airport (MCC) in Sacramento in mid-June (not mid-May as originally planned) the FS has not used the 522 days to become prepared for the beginning of a new paradigm of large air tanker use. At the end of those 522 days, they came to a conclusion, according to the Briefing Paper. This is a new program for the Forest Service, one that we have never managed before (We don’t know what we don’t know). Until now, all federal air tankers, from single engine to jumbo jet sized, have been contractor owned and contractor operated (CO/CO). The actual operation and maintenance of the tankers, including the on-site, day to day safety, has been the responsibility of the privately owned companies. Even though some high-ranking officials in the agency have been asking for brand new GO/CO C-130J air tankers for years, they appear to be woefully unprepared now that they received a version of what they have been begging for. The first two HC-130Hs to arrive at MCC this summer will be 27 and 31 years old. It is likely that they will require more safety oversight than a new C-130 right off the assembly line. The records related to the C-130H Aircraft Transfer, which you requested, exist only in draft and contain opinions, recommendations, and advice. It is important to protect these discussions, which may help formulate the Forest Service’s opinions and to release the draft would likely stifle honest and frank communication within and outside the Forest Service. We checked with the FS again today, June 8, 2015, asking if any plans had been developed. Mike Ferris, a spokesperson for the agency, said, “An operational plan will be in place prior to the aircraft being available for wildfire response” in July. This is not a small, trivial, collateral duty program to be managed by someone who is already fully occupied. 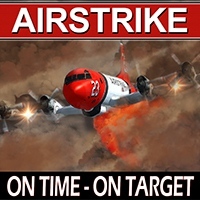 One could argue that the minute the President signed the legislation authorizing the transfer of the seven aircraft, and the expenditure of up to $130 million to convert them into air tankers, the FS could have assembled a task force to determine how, in detail, they would manage this new, ground-breaking, program. Program management absolutely should have been worked out and formally approved in advance. There are numerous programs they could have used as models. The first obvious one is the existing USCG HC-130H program. USCG, Navy, Marines, USAF, NOAA, and NASA all operate C-130’s. CALFIRE operates S-2’s and OV-10’s under a successful GOCO program. Inexperience is not an excuse considering the wealth of C-130 program experience available from other government organizations. Suddenly discovering a short time before the first HC-130H was first scheduled to arrive in mid-May, that, “Sh*t, we never thought about how to manage the safe operation of these aircraft” — is not acceptable. We talked to someone with intimate knowledge of how the FS has been reacting to this new program; their name will have to be withheld since he or she is not authorized to speak publicly. They said in the first few months, at least, the leaders in FS Fire and Aviation Management parceled out the responsibilities of this new program to the existing Branch Chiefs in Boise. There was no single voice in Boise and they were all advocating for their own concerns – management by committee. The thinking was that no additional personnel would be needed. Tom Harbour, the FS Director of Fire and Aviation Management, works in Washington D.C. All of the other Fire Directors for the NPS, BLM, FWS, and BIA are based in Boise, embedded with fire and aviation people rather than politicians. …It has been identified that our present safety oversight is inadequate for the expected growth that will be encountered in the next few years. All currently employed aviation safety personnel are fully occupied with existing workloads; this workload is not something that can be accomplished as a collateral duty. As a stop-gap measure, the FS has tasked an existing “Safety Enterprise Team” with the initial oversight responsibility for the safety of the HC-130H aircraft and crews once they start flying from the Sacramento “Forest Service Air Station McClellan (FSAS MCC)”. The FS expects that the team can provide four people, ensuring coverage through scheduled rotations as needed. Enterprise Teams is a fairly new concept in the FS. The 14 “Enterprise Units” are made up of employees that may not fit into the regular organization. The Units are financially self-sustaining, funded by their FS “customers”, and are expected to independently market their services as if they were a business within the government. Because there were so many Regional Aviation Safety Manager positions left empty at any one time in some of the regions, the Safety Enterprise Team was a notion that filled a need and gave political cover. During a congressional hearing on March 26, 2003, William Broadwell, Executive Director of the Aerial Firefighters Industry Association. said: “We need a strategic plan from the Federal agencies that specifies the aerial firefighting resources required to support the agency’s wildland firefighting mission. The operators need this plan in writing so that they know what to buy for. They are not going to put millions of dollars into a program if they do not know what needs to be.” There is still no detailed strategic plan. The U.S. Forest Service spent $100,000 in 2007 to buy two Sky Seer drone aircraft that they have not figured out how to use. 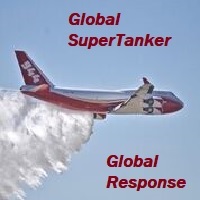 A report released by the Government Accountability Office August 20, 2013, about air tankers pointed out some of the same issues that were in a 2009 audit by the USDA’s Office of Inspector General. Both reports emphasized that the U.S. Forest Service and the Department of Interior need to collect data about the effectiveness of air tankers and put together a coherent plan on the management of the fleet, and a plan for the acquisition and justification of additional aircraft. There is still no detailed strategic plan. After two air tankers crashed in 2002 when the wings fell off in mid-air killing everyone on board the FS tightened up the specifications, weeding out the most vulnerable aircraft. Over the next 10-12 years, the number of large air tankers on exclusive use contracts decreased from 44 in 2002 to a low of 9 in 2013 before the FS began to finally take serious action to rebuild the fleet. The awards of the final next-gen contracts for seven air tankers in 2013 came 555 days after the USFS issued the first solicitation. Planning for and issuing contracts for air tankers has been a very inefficient process for the agency. Before the FS was given the seven HC-130H aircraft, they were hoping to get instead, seven almost new C-27J planes from the military, but the Coast Guard finagled a way to get them instead, while sending their 30-year old HC-130H aircraft to the FS. In a May, 2013 congressional hearing, FS Chief Tom Tidwell said if outfitted with a “mini-MAFFS” slip-in retardant system, the C-27J would carry 1,800 gallons. A study released by the FS the following July determined that the C-27J could hold 1,850 gallons if outfitted with a conventional gravity-based tank, and 1,100 gallons if a new mini-MAFFS were designed, constructed, and installed. 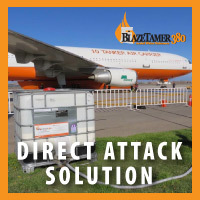 Both amounts are far below the 3,000 to 5,000 gallons required in the FS specifications for next-generation air tankers. What they should do they won’t, sell the aircraft to a private contractor and stay out of the tanker business! Instead they’ll waste tax payers money on a program that can’t see the light at the end of the tunnel. Are you sure it’s the FEDs Herk and not Coulsons new L 382. Tanker 118 (USCG 1721) is at FSAS MCC. 1) GOCO : CalFire is a successful model. I retired from CAL FIRE and was involved in several aircraft start-up programs. For success, you need a solid plan within 30 days, then you execute the plan: get a depot level facility; develop engineering and maintenance programs that fir your operation, loads and service profiles; obtain all the drawings for each model aircraft, you will have to manufacture parts soon, (CAL FIRE has 130,000 drawings for the S-2, OV-10 and UH-1H); go to all the bases that operate the model aircraft your looking at and secure all the service history, spare tooling & fixtures, engine slings, etc. ; go to Davis Monthan and strip 10 aircraft for each aircraft you operate to build a spare engine and rotable spare parts pool; work with Alcoa and build your own dies to make extrusions for repeated problem areas- cheap, about $9 per pound and $1100 for the extrusion dies, best part of all, you can spec out the latest 787 super alloys (7055-T73511) at no extra cost! 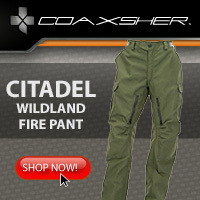 I fell very sorry for the field guys in the Forest Service having to contend with no ideas and no plan. 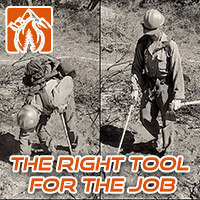 Forest Service here is your go-to-guy to get the ball rolling in the right direction. Or better yet, take a deep breath and let the private sector do what they have done for sixty years. Since the first USFS C130 is at MCC, does it have the FLIR on it, as in the pic above? Could someone send in a pic of the aircraft at MCC! The real problem with the USFS running a tanker fleet is knowledge and experience. Their track record isn’t very good. So what’s the point other than wasting tax payers money, which they do very well. Or will it be just another report, another committee, another place where the government with it’s endless amount of $$$ has to prove a point. Like buying NEW C130J’s, sorry but that would just an extreme amount of be MORE wasted $$$ for the mission. If the government really wants to help, change the policy about civilian contractors acquiring ex-military aircraft from storage and allow it to happen before the aircraft are put into storage, saving $$$. There is no way that a lot of the aircraft there will ever fly again, but could if the government would lighten up and be PRODUCTIVE. 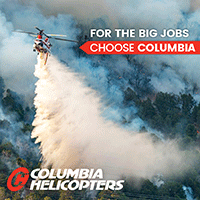 The people handling these policies act like they personally bought and own the aircraft, when it’s really tax payers $$$, so allow the tax payers the most for their buck – meaning allow the air tanker companies the opportunity to acquire these aircraft with less BS for use in protecting America’s forests. What a concept! Not sure what the big deal is we have been managing our own Fixed wing fleet for years. Pilots Inspectors and Managers. Don’t we have the people qualified to set up Run and Supervise a Tanker program? Are they going to fly the Tankers too? Like all the previous commentators have noted, I feel compelled to get my two cents included. 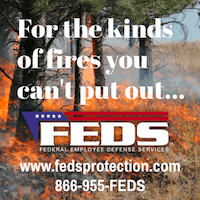 However, and after giving this issue considerable thought, I suggest Congress needs to look at the overall effectiveness and efficiency of large Federal Organizations such as the USFS, which is given the arduous task of protecting this Nations Federal Lands. When a top level manager states “we don’t know what we don’t know” one has to question their overall functionality. It seems to me the “real” issue is NOT the C130 Airtanker (which is just another tool in the proverbial tool box) but rather, how Federal Fire Departments within the USFS, NPS, BLM, etc. 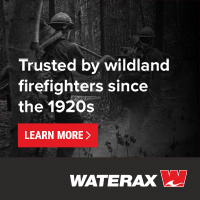 accomplish their mission and are they “truly” effective in putting out wildland fires in a safe, timely and efficient manner. I know from first hand experience that CAL FIRE’s goal is to contain 98% of all wildland fires in their jurisdiction to ten (10) acres or less. In order to achieve this goal, CDF was forced to implement those critical elements (personnel, airtankers, helicopters, air attack, engines, dozers, water tenders, lookouts, dispatch centers, air attack bases, etc., etc.) 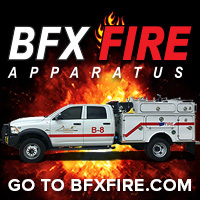 that would be needed to provide a maximum 20 minute response time before initiating fire suppression. CDF implemented this strategy some fifty+ years ago and low and behold – IT WORKS! “Hey Congress”, how about mandating and then holding the Federal Fire Departments to a similar standard. After all, everyone wants to protect all the valuable timber, wildlife, personal property and lives that may be lost during major conflagrations. Whenever I hear those infamous words spoken by an Incident Commander that they are going to “Manage The Fire” a very distinct and noticeable chill goes down my spine because in all probability, something very, very bad is going to happen. Worst case scenario is some poor sole(s) will get hurt or killed. Best case scenario is there will likely be a tremendous loss of wildlife and very valuable timber and other personal property. When you stop to think about it, it’s truly amazing what the resultant ramifications are that, in my opinion, can be directly attributed in most part to two distinct issues: Indian Folklore and the need to protect the Spotted Owl. Wow – ever wonder how mankind can continue to exist when using such profound logic? I do… I apologize in advance if I have offended anyone! However, after a 50+ year career in Aviation, in all honesty I would be remiss if I didn’t comment on a subject matter so near and dear to my heart..
As we comment on this site many of us are looking at the fire aviation program as bystanders (including myself). Mr.Trask and Mr.Wardall where the CDF (Cal Fire) employees (at the top) that when things went right probably very little was said. Managers just doing their jobs. But when something wasn’t “fitting” these where the folks that had to make the decisions and work through the problems. This would in many cases (fire season) required a safe and cost effective solution in a very short period of time. I would hope that both of these experienced managers will continue to provide comments on this site, proven expertise.